Andrew Eppley Shue was born on 20 February 1967, in Wilmington, Delaware. He is an American actor and entrepreneur with German ancestry. He’s probably best known for his role as Billy Campbell in the 90s television series “Melrose Place” and was also part of “The Rainmaker”. Aside from that, he founded the highly successful website CafeMom, all of which are at least partly responsible for his current net worth. How rich is Andrew Shue? Sources estimate that his net worth is at $100 million. Contrary to most actors, the majority of his net worth doesn’t come from his acting career; in fact, most of his net worth is defined by his current entrepreneurial ventures as well as his short stint playing soccer. He still continues to act, host and produce films. Shue attended Columbia High School in New Jersey along with sister, Elizabeth Shue who’s also an actress. At high school and even during his time in Dartmouth College, he was an avid player of soccer. He was a Regional All America Soccer player and even spent time playing in Glasgow, Scotland for Queen Park’s FC. After graduating, Andrew then went to Zimbabwe to play soccer and teach math. He played for the Bulawayo Highlanders and was the only white player in the Zimbabwe Premier Soccer League during this time. He went on to win two titles with the Highlanders before moving forward with his acting career. He played for a few more clubs in the United States before ending his professional soccer career, partly as a result of injuries, in 1996. Regardless, this career contribute considerably to his net worth. Andrew’s first role in acting would be the one he is best known for. In 1992, he was cast to play the role of Billy Campbell in “Melrose Place”, appearing alongside Courtney Thorne-Smith. His popularity in the series would be the start of the increase of his net worth and it also earned him a role in the Francis Ford Coppola Film “The Rainmaker”, starring with Matt Damon and Claire Danes. “Melrose Place” went on to run for seven years, and Andrew was a part of the series until it ended. Aside from these productions, Andrew worked on the 2007 film “Gracie”, in which he was co-producer. The majority of his wealth would start later on around 2006, when he and Michael Sanchez, a childhood friend, co-founded the social networking site CafeMom. The website focuses on allowing moms to connect and share ideas, as well as advice. The website was a first, and one that was founded at the right time and aimed at the right audience, resulting in a large amount of profit and a staggering increase to both founders’ net worth. The two also co-founded the company Do Something. CafeMom has grown to become a family of companies holding extension sites, blogs and the like. 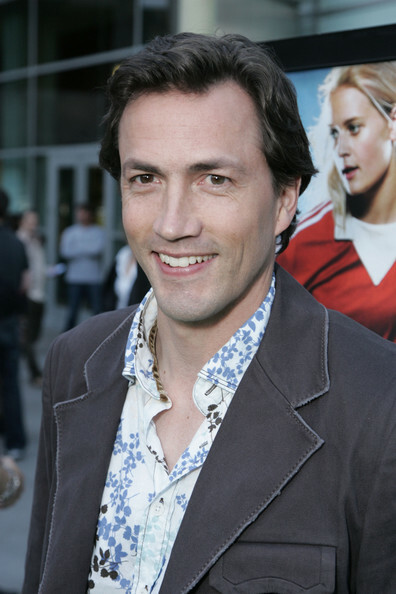 In his personal life, Andrew Shue was previously married to floral designer Jennifer Hageney. After 14 years and three children they divorced in 2008. Andrew would then meet ABC news correspondent Amy Robach, who was also a divorcee with two children. They married in 2010 in a relatively private affair. Aside from these events, Andrew keeps most of his personal life, private. 1 He lived in Zimbabwe for a year and played for the Highlanders football team. He still has a passion for Africa and in February 2004 he met with Zimbabwean filmmaker Chloe Traicos and discussed the current situation with her. 2 Like his sister, Elisabeth Shue, Andrew named his son after their late older brother, William Shue, who died at the family's summer home on Block Island, Rhode Island (off Long Island). 3 Brother-in-law of Davis Guggenheim, Grace Guggenheim and Jonathan Guggenheim. 4 The first child of Andrew Shue, Nathaniel William, was born the 1st August 1996. 7 Co-founder of the "DO Something" foundation. 9 Younger brother of Elisabeth Shue. 10 Went to Columbia High School, in Maplewood, New Jersey where he founded the Hall of Fame, which he and his sister Elisabeth Shue became members of in 1994. Zach Braff also attended Columbia High School, but at a later time. As a matter of fact, Zach lived around the corner from the Shues.